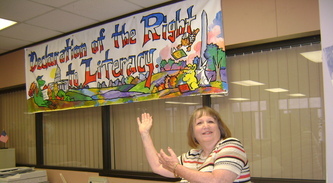 As part of the National Literacy Campaign, the Feldheym Library in San Bernardino sponsored "Authors in Support of Literacy." 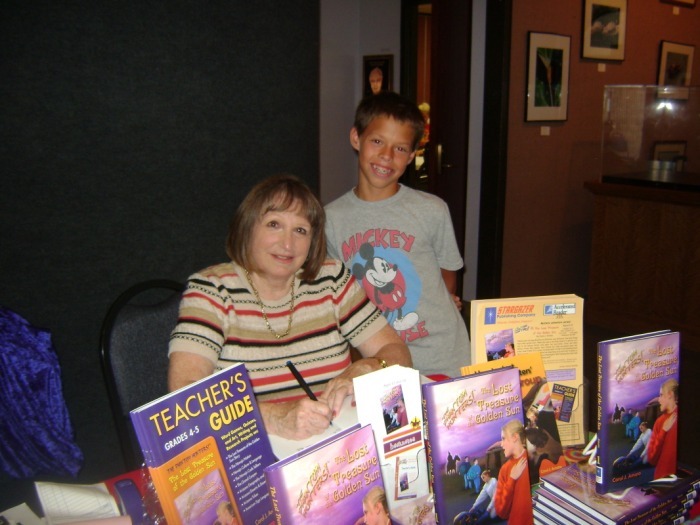 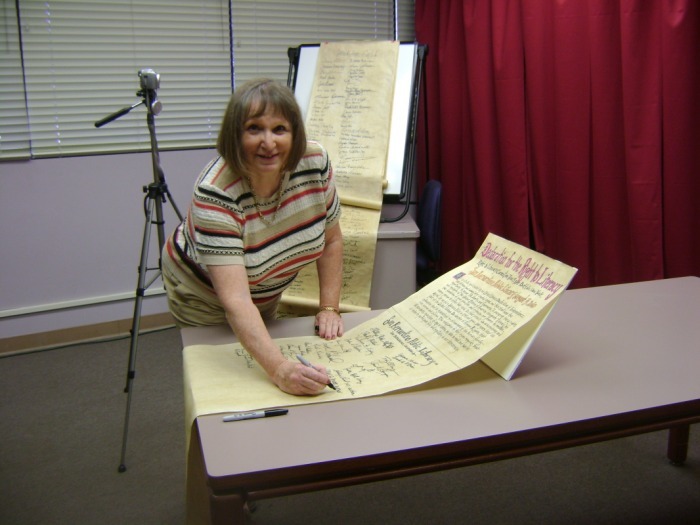 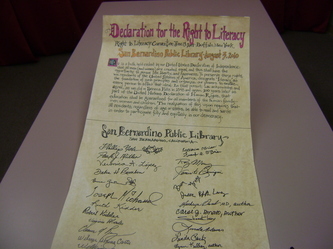 Local authors displayed and signed their books and signed the scroll entitled "Declaration of the Right to Literacy" to be presented at the White House. 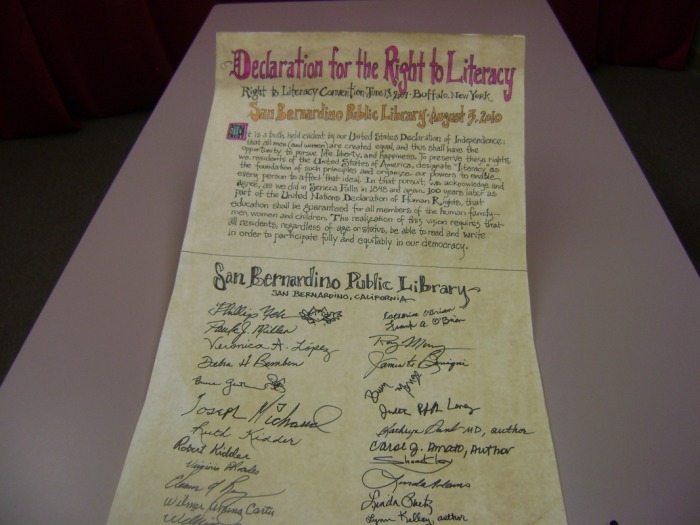 The Feldheym Library sponsored a signing for authors who supported the Declaration of the Right to Literacy. Here I am at my table exhibiting my books. 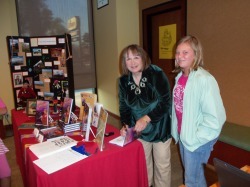 Signing a copy of The Lost Treasure of the Golden Sun for a young fan. 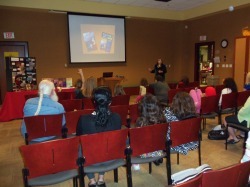 For Children's Book Week, I presented "A Tour of the Navajo Nation" to about 25 people. 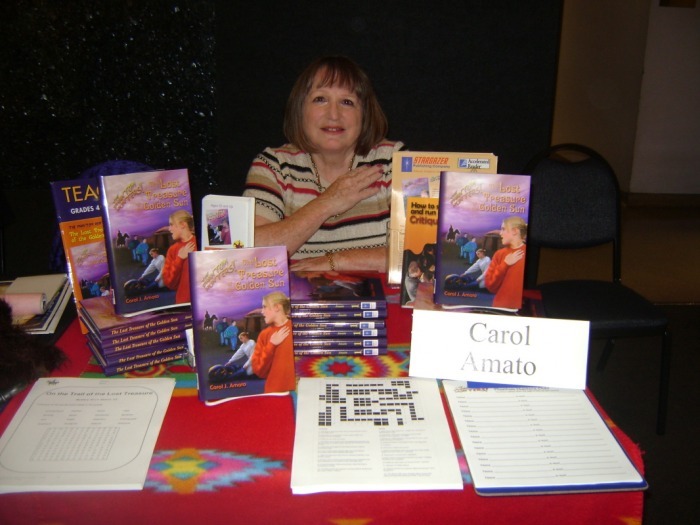 The Navajo Nation is the setting of Lost Treasure of the Golden Sun the first novel in my middle-grade mystery series, The Phantom Hunters. Autographing a book for a young fan, which is always fun! 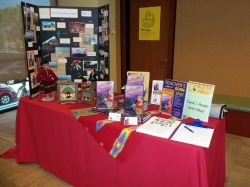 My display at the presentation.